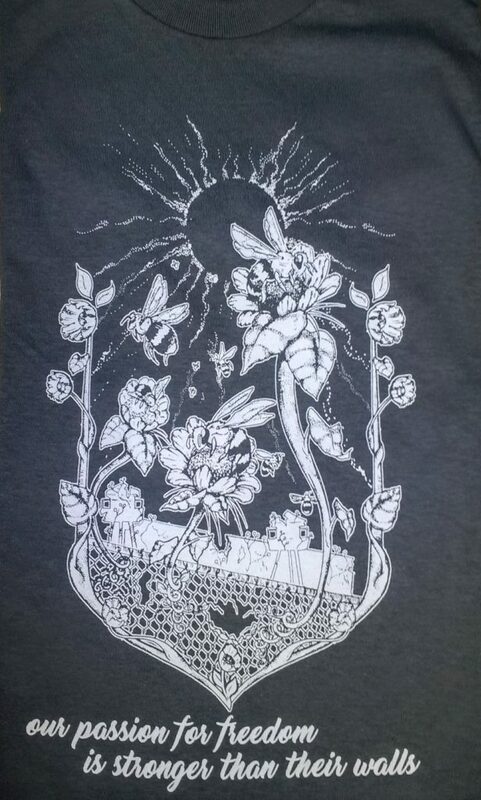 Made in collaboration with La Dime from East Oakland, CA. Union-printed. 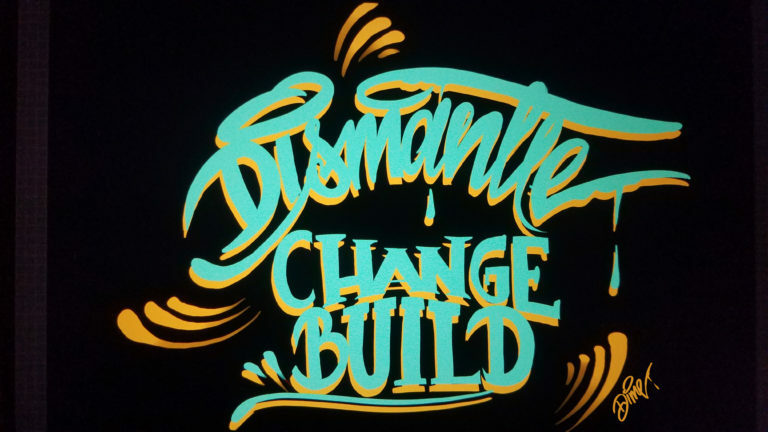 “Dismantle, Change, Build” on the front. 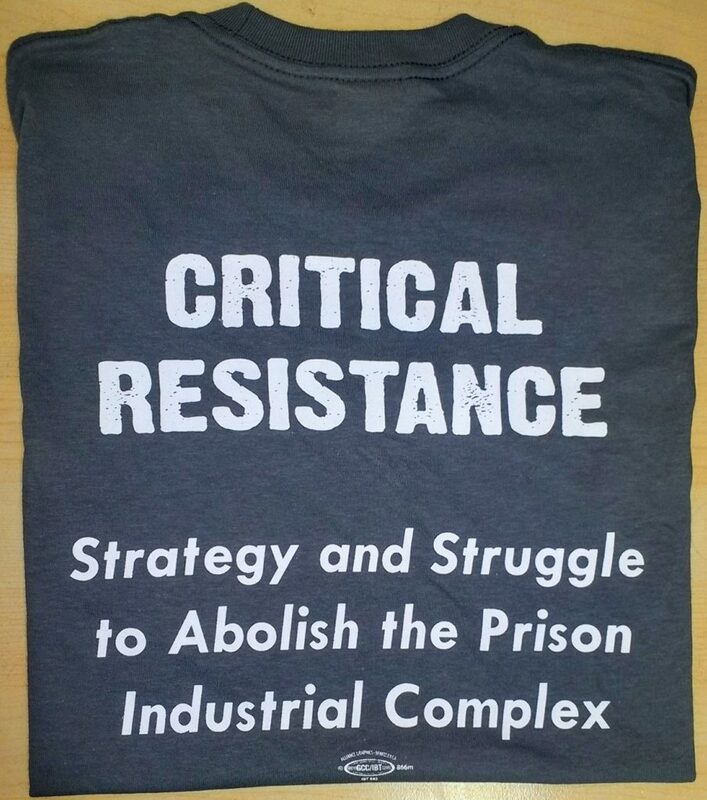 “Critical Resistance: Strategy and Struggle to Abolish the Prison Industrial Complex” on the back. Orders will be mailed out weekly on Thursdays. 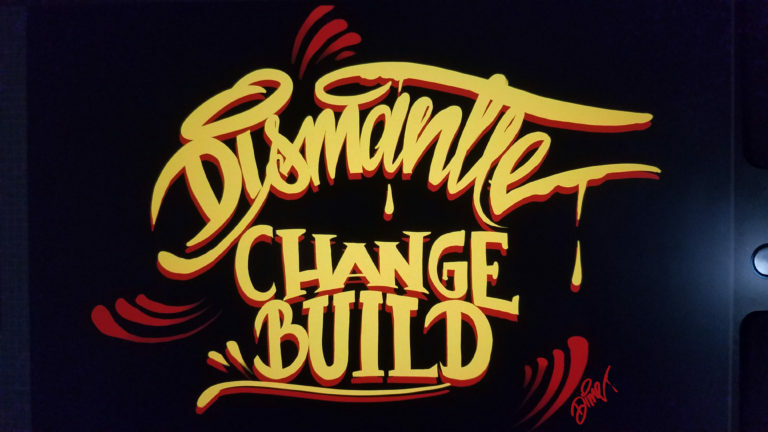 If Paypal isn’t working for you or you would like to order multiple items, email Feyi@criticalresistance with: [TSHIRT or HOODIE]/ COLOR/ SIZE and we will invoice you. OAKLAND PICKUPS AVAILABLE. TUESDAY, THURSDAY mornings til 2pm. Tuesday evenings 7-9pm. Black Hoodie Sweatshirt with Aqua and Gold $40 + $12 shipping. 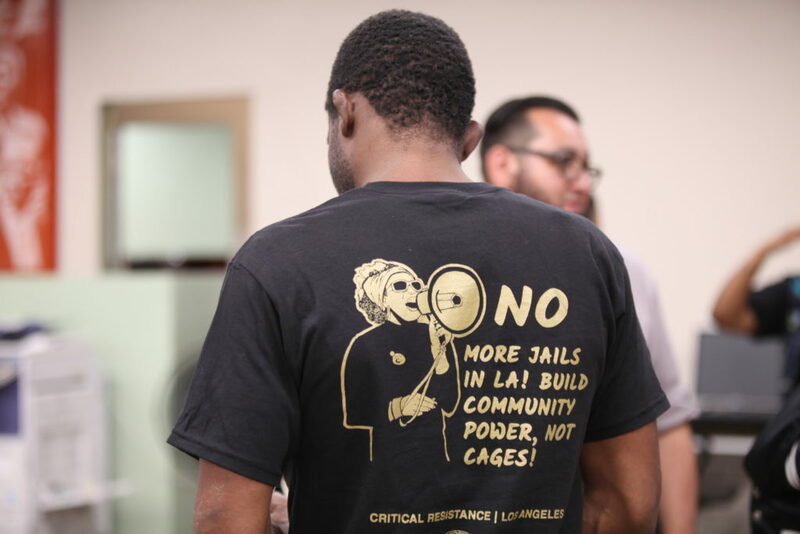 No More Jails in LA! 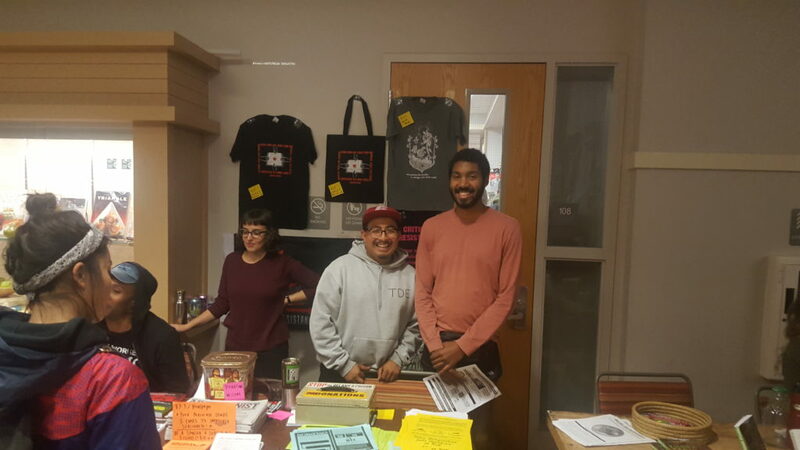 Build Community Power, Not Cages!